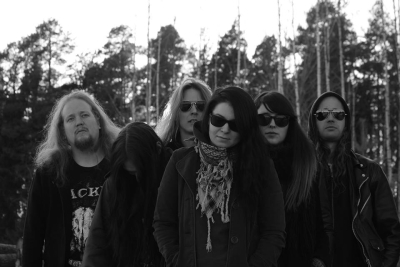 Formed in 2008 but formally active from 2011, Finland's White Mist play heavily Atmospheric Doom with some Black Metal elements and sensibilities. The juxtaposition of folky, Trad Doom female singing and harsh Black/Death male lead vocals is mirrored in the instrumentation. Ethereal accoustic passages and sombre yet highly melodic keyboards periodically give way to heavier moments of Doom and Black Metal.